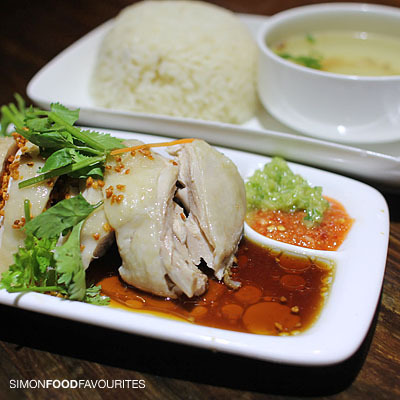 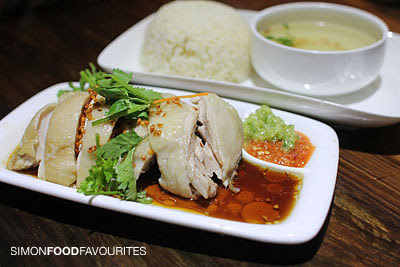 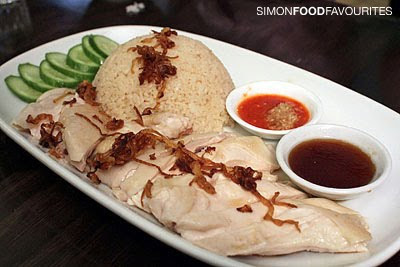 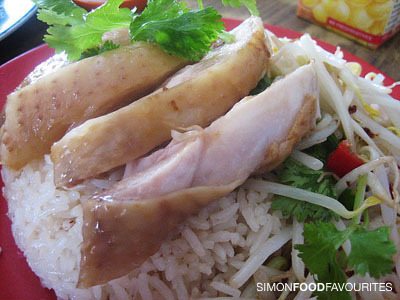 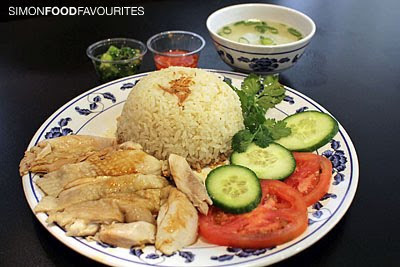 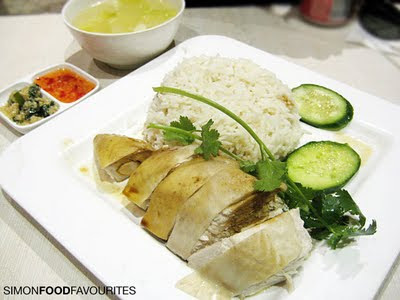 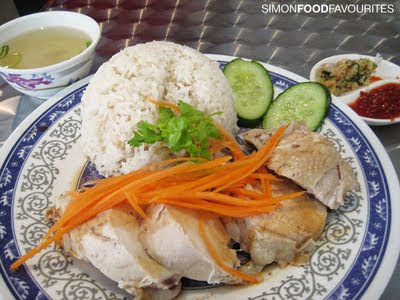 Hainanese Chicken Rice is a simple plated dish and if done well can be a very comforting meal to enjoy. 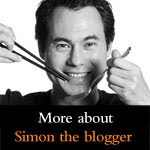 Even though it looks simple many factors can make it a bad one. 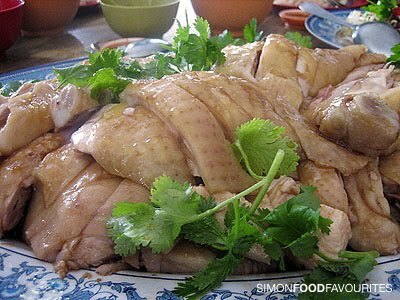 The most common problem is the chicken being too dry. 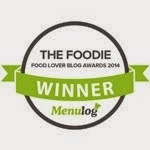 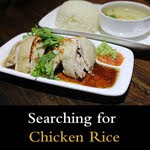 The rice might not be well-flavoured, the ginger and chilli dips might be tasteless and the soup might be too watery and bland. 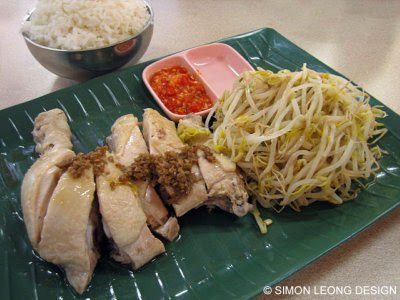 If served on the bone you can get bits of bone shards in the meat depending on how they've cut it. 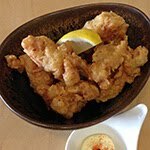 You usually can choose the thigh or breast. 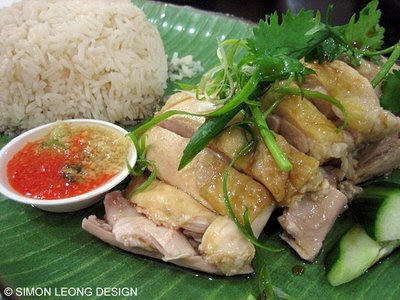 The thigh tends to be more moist but also usually comes on the bone while the breast is served boneless. 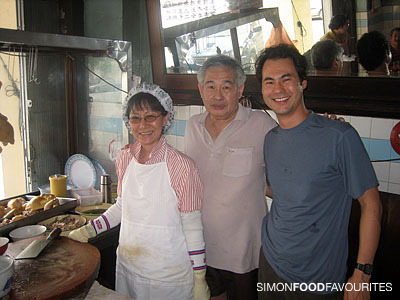 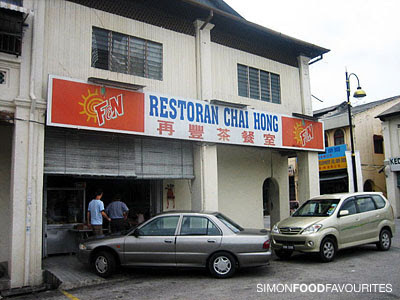 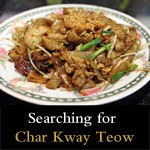 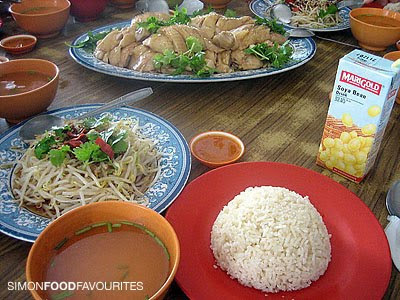 My dad is from Seremban in Malaysia and in April 2007 we visited his favourite chicken rice restaurant called Restoran Chai Hong (see below). 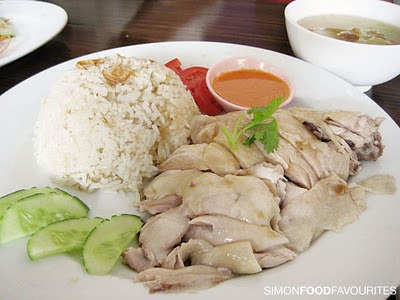 He said it's been there for years since growing up as a kid and the lady chef was so particular about the cutting and presentation of the chicken that she never let her husband to do. 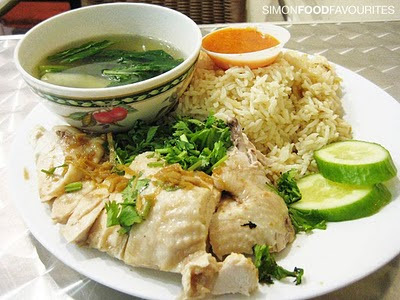 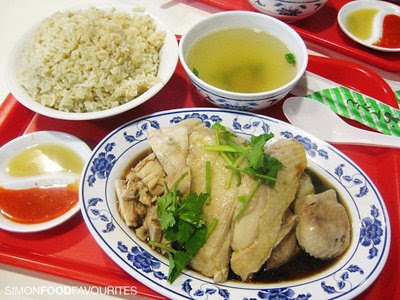 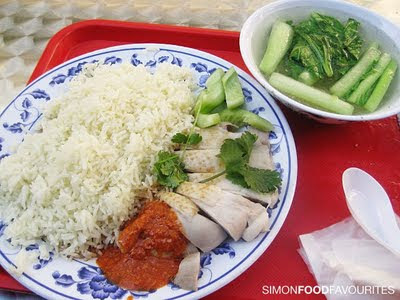 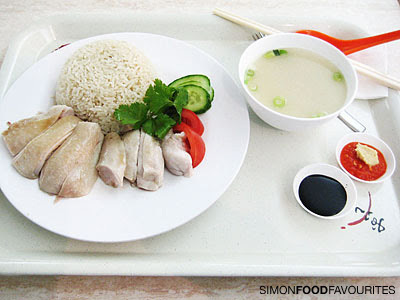 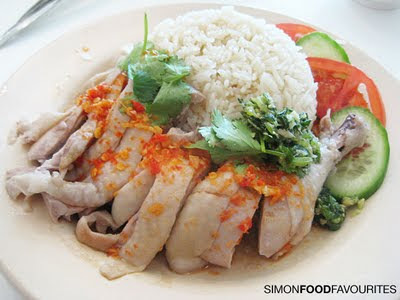 This is the chicken rice dish I probably compare to all others I try. 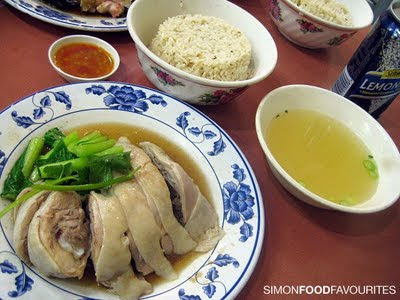 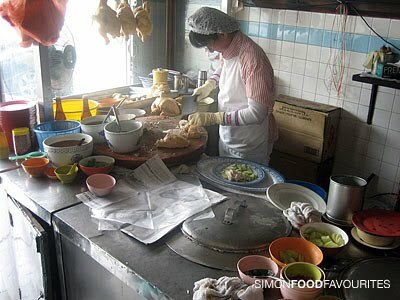 It was served boneless which I prefer and the meat was silky moist and juicy. 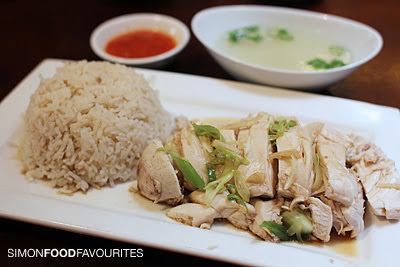 hi row, and many more pictures to hopefully come. 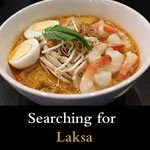 hi selina, i've been to Temasek many years ago before I started the blog so I'll have to definitely return to add to the list. 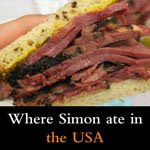 thanks for the reminder. 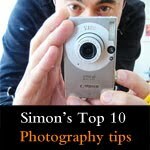 hi david c, thanks for the tip. 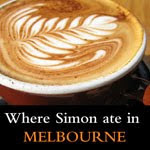 i'll be sure to check out if i'm ever in Perth. 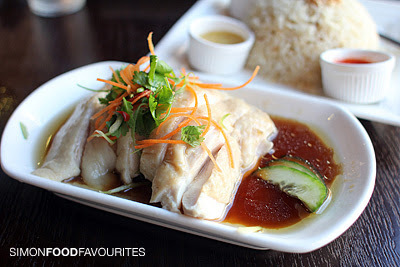 Have you tried paparich? 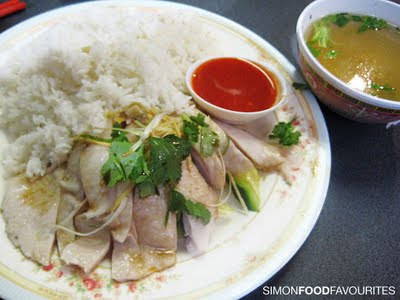 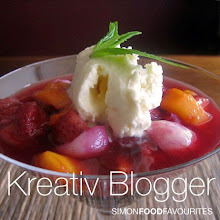 I had it when I was in melb and I quite like it.